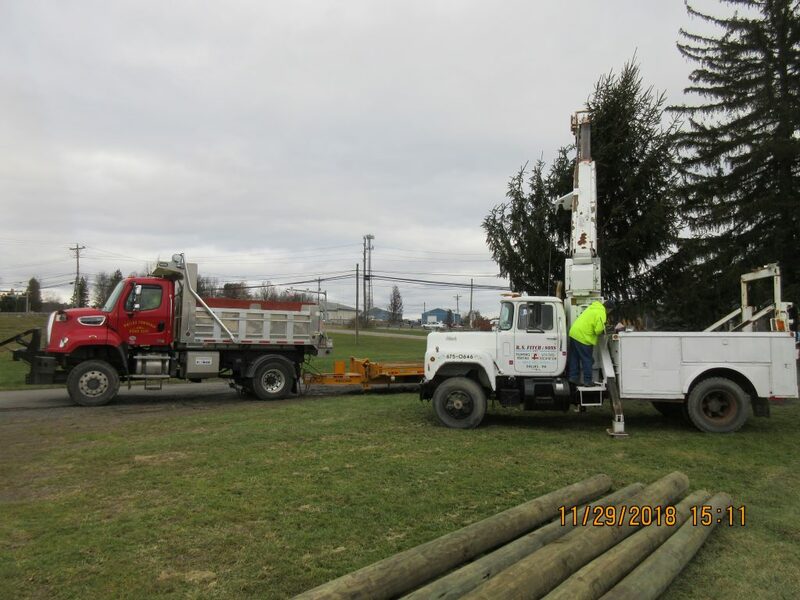 At the Planning Commission Meeting held on December 11, 2018 Attorney Bill McCall announced his retirement. Attorney McCall has served on the Planning Commission and Zoning Board. 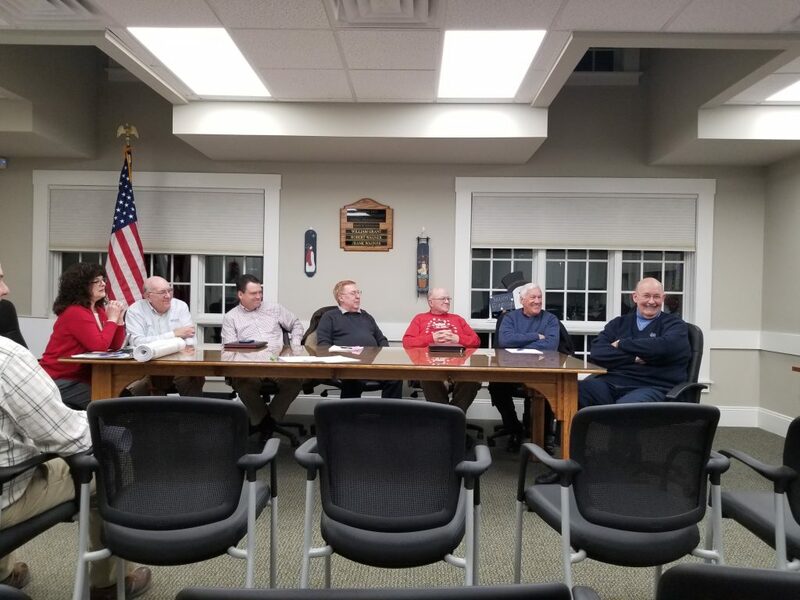 Dallas Township thanks Attorney McCall for his years of service. 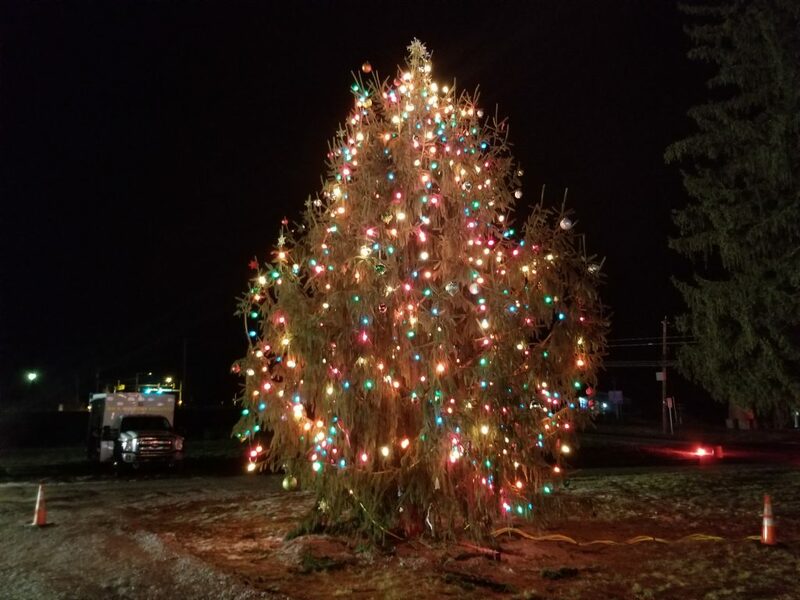 The Dallas Township Christmas Tree Lighting on December 8th was a big success. 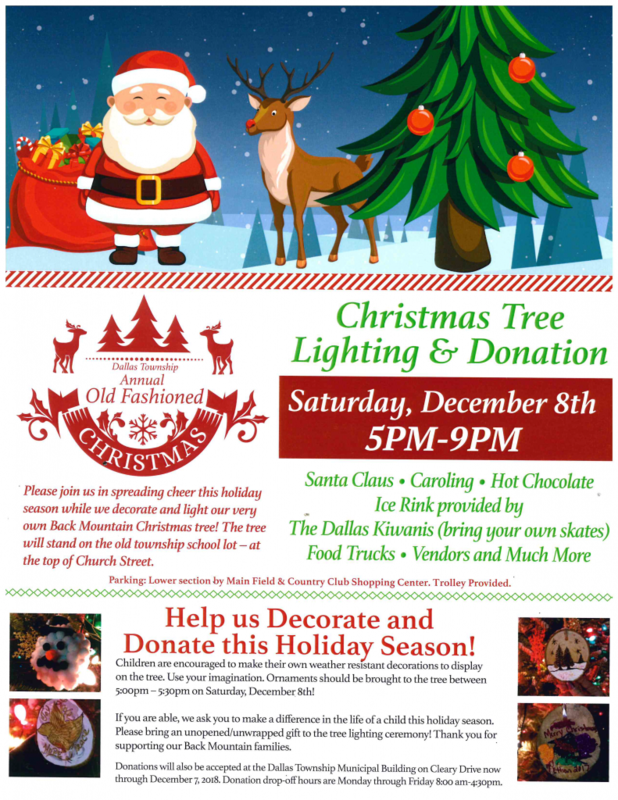 We thank all that participated. 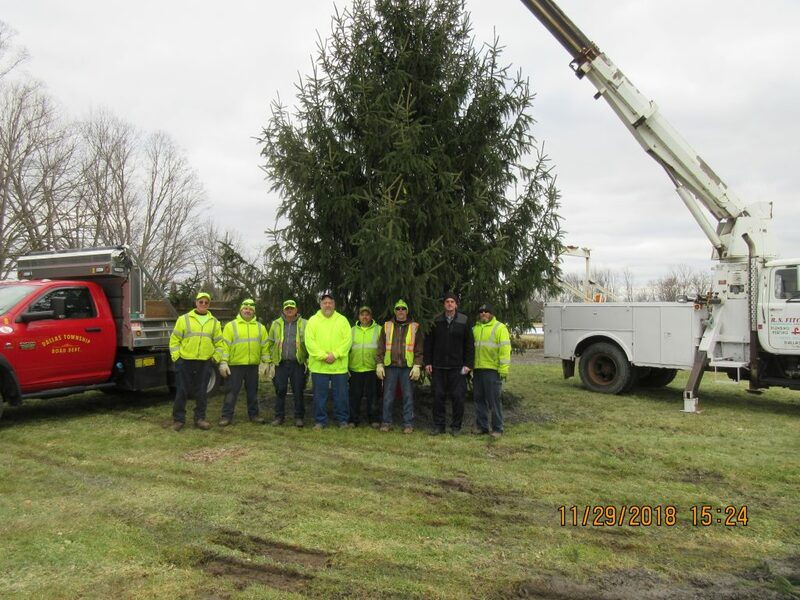 The 2018 Christmas Tree has arrived with assistance from R N Fitch & Sons/McGrath Enterprises, Dallas Township Road Department, Dallas Township Police Department, and Brenda Pugh. 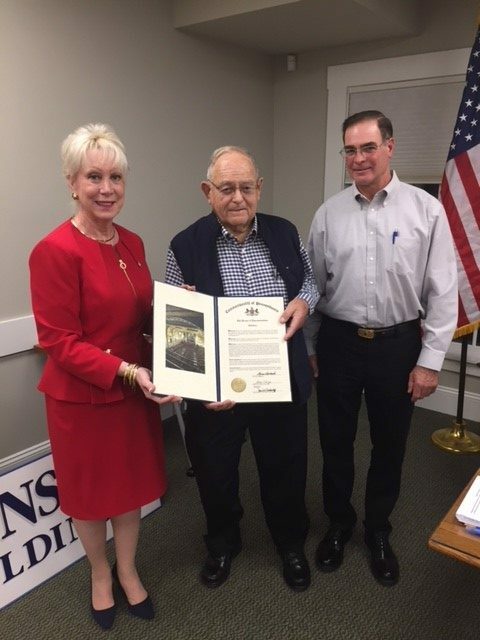 State Representative Karen Boback recently presented Dallas Township Supervisor Frank Wagner with a House citation in recognition of his 50 years of service with the municipality. 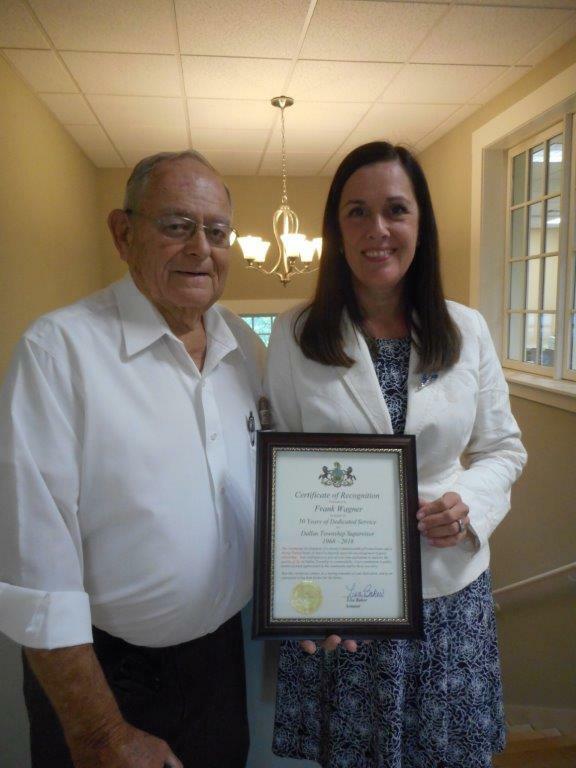 Pictured with her is Frank’s son, Robert, who is also a township supervisor. 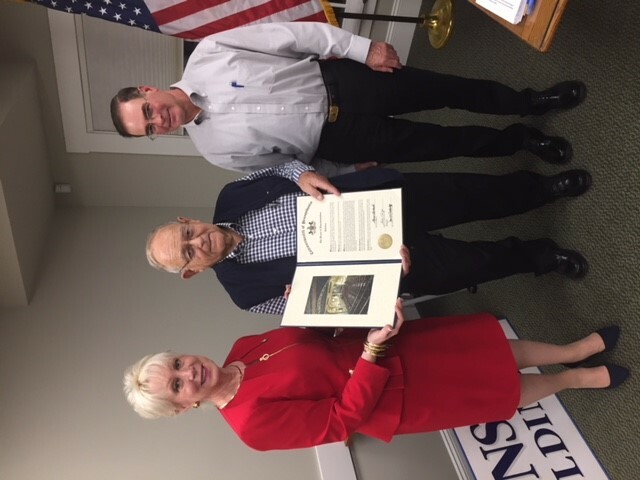 Supervisor Wagner was recognized for his years of service by Senator Baker. 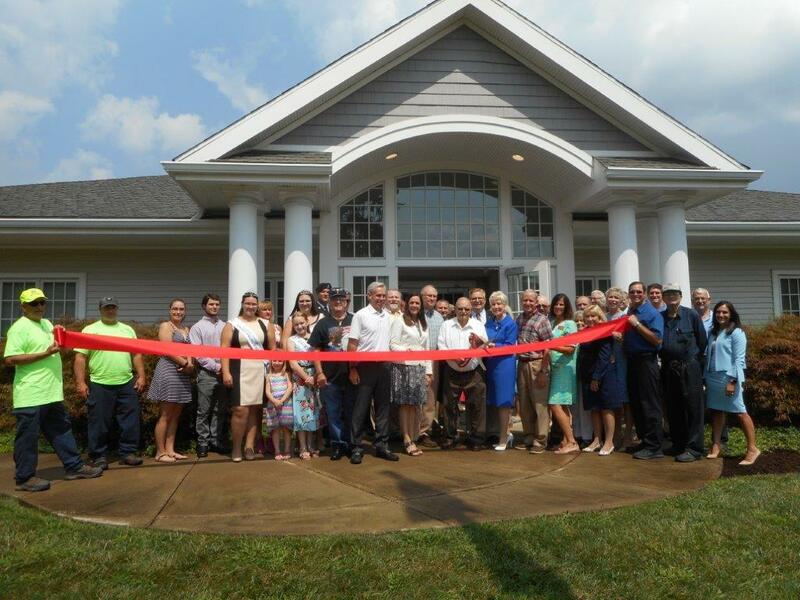 Ribbon Cutting Ceremony with township residents surrounding local residents, local and state officials and township employees. 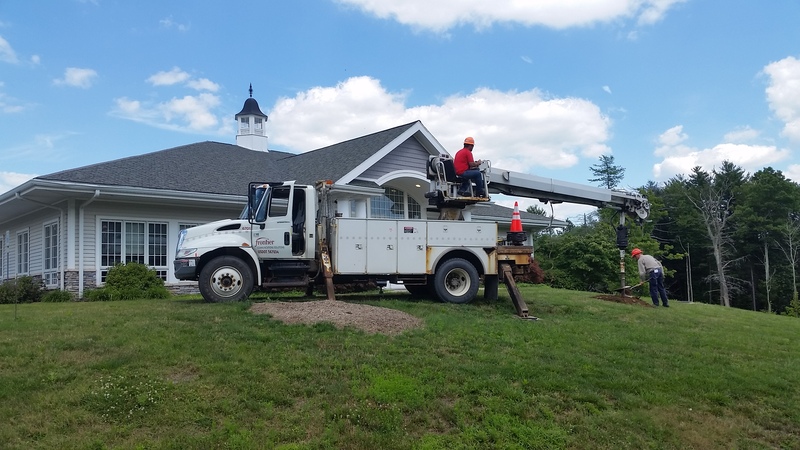 Township Supervisors’ would like to thank Frontier Communications & Keystone Landscaping with the installation of the flag pole at 105 Lt. Michael Cleary Drive.